You can facilitate your own group! You can lead other women on a journey of personal discovery. As a facilitator, you have the chance to develop community with other women as you each grow in relationship with the Lord. The Facilitator Guide includes everything you need to be an effective facilitator. Your role as facilitator, or coach, is to help your group members make their own discoveries. The Peer Coach relationships within your group will give each woman someone who prays for her, encourages her, and is interested in her progress on her journey. Help participants grow, be equipped and make an impact on women in their own spheres of influence. The Peer Coach relationships within your Life-Coaching Group will allow each woman to have someone who prays for her. Her Peer Coach is not a mentor or a counselor, but one who encourages her and is interested in her progress on her journey. Invite women to journey with you. Friends, family or women at work or church. Download the invitation to prospective group members or the brochure to pass out to potential participants. Create a comfortable, loving and safe environment that will encourage your group to make their discoveries. 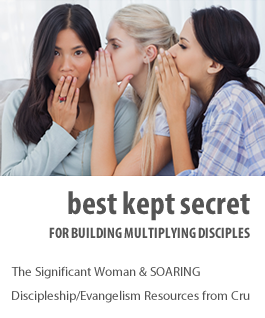 You will never regret taking the step to gather other women together to help them discover more about God—how He lovingly created them and uniquely designed them for a personal mission that coincides with His mission. 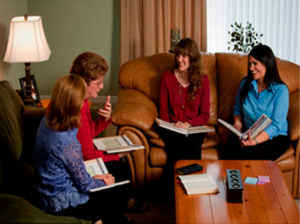 You will have the privilege of watching God change the lives of the women in your group as they learn how to integrate the six biblically based life principles presented in The Significant Woman Life-Coaching Discipleship Course. Order your Significant Woman Facilitator Guide. It contains the full Participant Book as well as all the notes you need to facilitate The Significant Woman Course. The Facilitator Guide will make it easy for you to facilitate your own group, whether it’s your first time or you are an experienced facilitator. You may also order Participant Books for your group members. We’ve developed a list of our most Frequently Asked Questions by facilitators around the world. If you don’t see your question listed, please feel free to e-mail us at Significant.Woman@cru.org.